It doesn’t matter if you are Bill Gates or a waitress at the diner down the street, God gave us all the same great equalizer - twenty-four hours in a day. What most people lack is not time - but rather, the skills to manage themselves to make good use of the time they have available to them. Time is much like money. When you decide to spend an hour watching TV, you have decided to not to spend an hour doing everything else. Productive people don’t spend time, they invest it. They expect a return on every hour they invest. Whether time is invested in their business, their family or their own well-being. "Your time is more valuable than money. Your time is your life!" When you give away your money, you are giving away something that can be replaced. When you give away your time, you are giving them a part of your life. Waste your time and you are wasting your life. There are many renewable resources, but time is not one of them. Control your time and you are controlling your life. Controlling your time really means controlling the events in your life. People in control of the events in their life are confident, happy, and powerful. They possess one thing above all: inner peace. “Productivity” is not a new issue. There has been an entire industry built to serve the person who just can’t seem to get organized. Everything from Things-To-Do-Today pads, to time management software are available to plan and track personal time usage. Why is then productivity or, shall we say life management, such a challenge? As human beings, we tend to blame others for our shortage of time. There are many readily available scapegoats: drop-in visitors, meetings, inadequate equipment, telephone interruptions and one crisis after another. However, the only one to blame is ourselves - for letting our time be wasted. Once again, we cannot manage time; we can only manage ourselves! There is another reason time management is such a challenge: conditioning. We’ve been conditioned to believe that certain things about ourselves and our surroundings are the truth. As a result of conditioning, many people have adopted myths about their lives as being the truth. Visit a circus, and you will see what I mean about conditioning. Take a look at the elephants tied to little stakes that they could easily pull out, yet those little stakes keep the huge elephants tethered. When the elephants are young, they are chained by the leg to immovable stakes. However, little by little, over the period of a month, the elephants are conditioned to think they can’t move about as long as they are tied by the right rear leg. From the moment this conditioning takes effect, you could tie these elephants with a string and they wouldn’t move. They don’t move about because they believe they can’t. The tethers in their minds are stronger than any chains. Deadlines are a major contributing factor in stress. It is impossible to manage stress without learning to manage our time. In fact, by learning to manage our time, we are learning to prevent stress. The better we learn to manage our time, the more we avoid unnecessary stress and the less we need coping techniques. Why learn to cope with stress if we can learn to prevent the stress that time shortages inflict on us? If time management equals stress prevention, then time management also prevents illness. Stress is now linked directly to some of our most serious health concerns, heart attacks and strokes being the most common. In the business world, this means two things: the loss of some of the brightest and most promising managers, and the rising cost of company-paid health care plans. Stress-induced disability claims are becoming a major headache, not only for insurance companies, but also for employers who are sued for causing the disability. Most entrepreneurs are self-motivated people, driven by an unseen force from within to achieve the goals they have set for their lives. Usually, that means the goals they have set for their business. Hence, they see little value in helping their employees achieve a balance in their lives. However, it’s not only entrepreneurs who are addicted to work. A new set of values must accompany new productivity skills in order to bring a balance to the life of the workaholic. Procrastination is the most common self-inflicted time robber. For the salesperson, it’s putting off that phone call. For some, it’s putting off the beginning of an exercise program. “Putting things off” has probably caused more time management problems than all the other causes put together. We have a natural tendency to do the things we like and put off the things we don’t. 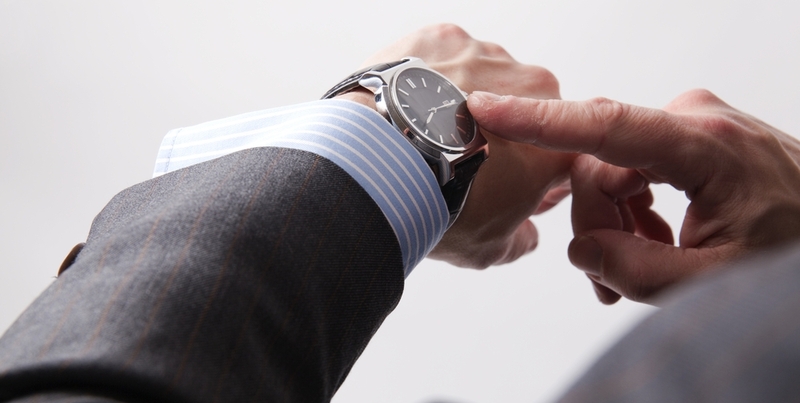 We need to develop a sense of urgency for each task and remember that time is of the essence. A good time management system will certainly improve our productivity. The more productive we are, the greater our advantage over our competition. The reason that today there is so much “downsizing,” “restructuring,” and “rightsizing” going on in companies really comes down to the issue of productivity. The only way a company or a country can regain its competitive edge is to improve productivity. What’s productivity anyway? Productivity refers to the relationship between results and resources. In other words, productivity equals output divided by input. This formula demonstrates that there are two ways to improve productivity: to hold output constant while reducing input and to increase output without increasing input. How much can we improve our productivity? While very little research has been done in this area, there is some data available that would indicate that the average manager is only 30% effective. Returning phone calls several at a time can reduce the average time spent per call by 50%. Closing your office door and working without interruption for two hours a day will enable you to accomplish what would have taken you three hours before. All goals must have a deadline. Without a goal, it doesn’t matter how long it takes you to arrive. There are many times when one activity can be taking you towards two or more goals at the same time. For instance, if three of your goals were to spend a half an hour a day exercising, half an hour a day in solitude, half an hour a day in prayer, you could achieve all three at once by praying as you jogged or walked alone for a half an hour. Any successful life management system needs to be developed upon a firm foundation - our core values or the highest priorities for our lives. In other words, we need to determine what the First Things are in our lives. Franklin took these twelve statements to a Quaker friend of his to get his opinion of them. The Quaker friend informed him that he’d forgotten one: humility. So Franklin added a thirteenth virtue - Humility. He wrote a four-word statement describing what it meant to him: “Imitate Jesus and Socrates.” He then organized his life into thirteen week cycles, and for one week out of thirteen, he would mentally focus on one of those virtues in an effort to bring his performance in line with his values. This improvement is the source of what we all are looking for - inner peace. Abraham Maslow referred to this unity between our values and our everyday performance as “self-actualization.” It is a bringing together of what I do and what I really value. Everyone has a set of values, but not everyone has identified them. The exercise of examining your life and facing up to your actual values is a challenging but rewarding experience. James W. Newman, author of Release Your Brakes!, developed a scenario to help you reach down inside and discover what your values are. Imagine, if you will, that I take you to one of my construction sites, and there lying on the ground is an I-Beam 120 ft. long. Now, imagine that I’m standing on one end of the I-Beam, and I ask you to stand on the other end, 120 feet away from me. I reach into my pocket and take out a hundred-dollar bill. I then yell down to you “I’ll give you this hundred-dollar bill if walk the length of this beam in less than two minutes without falling off either side.” Would you take the walk? Of course, you would. Now, suppose this same I-Beam were taken to New York City and lifted 1,000 feet above the ground and used as a bridge between the two buildings. A very narrow bridge. Only twelve inches wide. If I now stood on one building and you stood on the other, would you now cross the beam for a hundred-dollar bill. Not a chance! Would you it do for a hundred thousand dollars? Not likely! Why not? Because you value your life more than the money. We all have governing values, and thanks to Hyrum W. Smith, I have taken the time to identify mine. What a rewarding exercise! I challenge you to stop reading right now, and spend the 4-8 hours it will take to complete your own personal constitution. I’m going to share with you my governing values to give you an example of what I'm talking about. In some of these areas, I have not yet arrived. However, my architect (God) and I have completed the ideal design. He’s just not done working on me yet. God must visualize a “finished” Ben Kubassek as He keeps working on me, and so I do the same as I review my values. 1. I serve God with a Passion. I have a relationship with my Creator. I’m not religious. I’m a spiritual being with a physical body. Whenever I doubt the existence of a God, I look at a tree, or a flower, or look up at the stars, or think about the birth of one of my children. He’s been so good to me! 2. I'm a blessing to every person I meet. Every morning during my quiet time, I ask God to make me a blessing to everyone I will meet that day. My desire is to have people feel better about themselves because of their encounter with me. I love to encourage and inspire people to reach their full potential. 3. I am a great spouse and parent. I make time for my family, helping them spiritually, financially, physically and intellectually. I also make time, just to play with them. I build the self-esteem of my children by encouraging them and praising them. I make only positive statements in their presence. 4. I am constantly building my mind. I never stop learning. I read books, listen to podcasts, and watch positive videos & TV programs that will make me more intelligent, expand my vocabulary, improve my business skills, and enhance my people skills. 5. I maintain a sound mind and healthy body. I eat healthy and never to excess. I exercise regularly and get adequate sleep in order to maintain a high level of energy. I guard myself against negative thoughts and negative people. 6. I spend time alone every day. The first two hours of my day, I spend in solitude. I spend this time reading, writing, exercising, meditating, praying and planning my day. This time is sacred to me and sets the stage for my entire day. It is the key to maintaining my focus and inner peace. 7. I have order in my life. My person, home and office are clean, tidy and organized. I dress up and try to look my best, even if I’m not feeling my best. 8. I have wisdom that comes from above. I start every day with a prayer for God’s wisdom to help me make decisions. The kind of wisdom that Solomon prayed for. Wisdom to how to help the people. 9. I'm a generous person. I give with much joy, my love, money and time, helping those in need. I give expecting to receive a blessing from above. However, I never give expecting something in return from the person I am helping. 10. I am financially secure. I have developed an income that is residual. It is there, whether I’m capable of working or not. My family’s needs for food, clothing, shelter and education are adequately met. 11. I'm productive and effective. I manage my time and do first things first. I make things happen. For me, time is always of the essence. 12. I'm persistent in achieving the goals I've set. I never, ever, ever give up. I may change direction, but I never stop moving. I'm persistent in achieving the goals I've set. 13. I am quick to forgive others. My memory is good except when it comes to remembering how others have hurt me in word or deed. I am also quick to forgive myself for my many mistakes and failures. 14. I honor my parents. I thank God for wonderful parents who taught me the meaning of compassion and cheerful giving and that “what I am, is God’s gift to me; what I become is my gift to God.” I honor my father’s memory by being good to my mother as long as she is alive. 15. I live my life with an attitude of gratitude. I am thankful for all the good things my life has been blessed with: my family, my friends, a healthy body, my energy, a creative mind, and the list goes on. What values govern your life? Have you taken the time to write them down? Do you you need help in coming up with a Values Statement for your life? If you need help creating a balanced life-management plan, sign up for my newsletter at www.kubassek.com and get a free ebook Five F-Words That Will Energize Your Life.